View of the Amherst College Delta Upsilon house on South Pleasant Street, purchased by the fraternity in 1882. The fraternity had a new house constructed in a different location in 1915, and Amherst College bought the property in 1917. The house was removed and Hitchcock Road now runs through the middle of this plot. 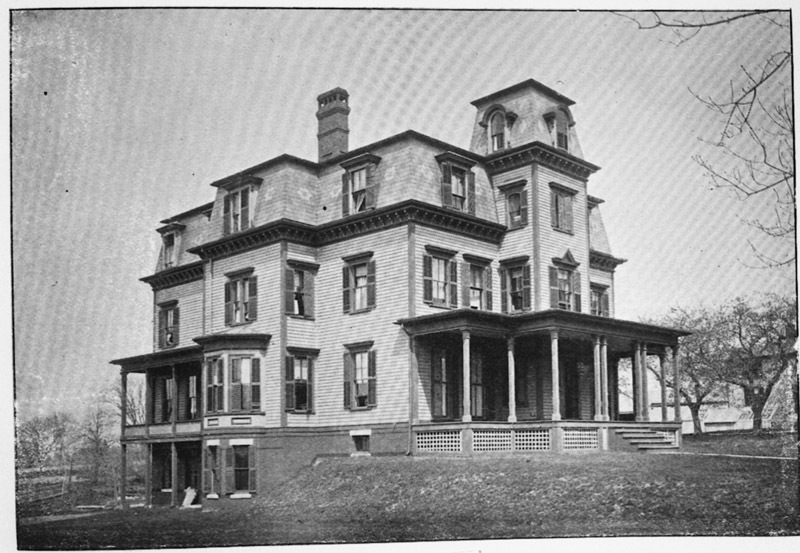 Lovell, John L., 1825-1903, “Delta Upsilon house in Amherst,” Digital Amherst, accessed April 23, 2019, http://www.digitalamherst.org/items/show/161.